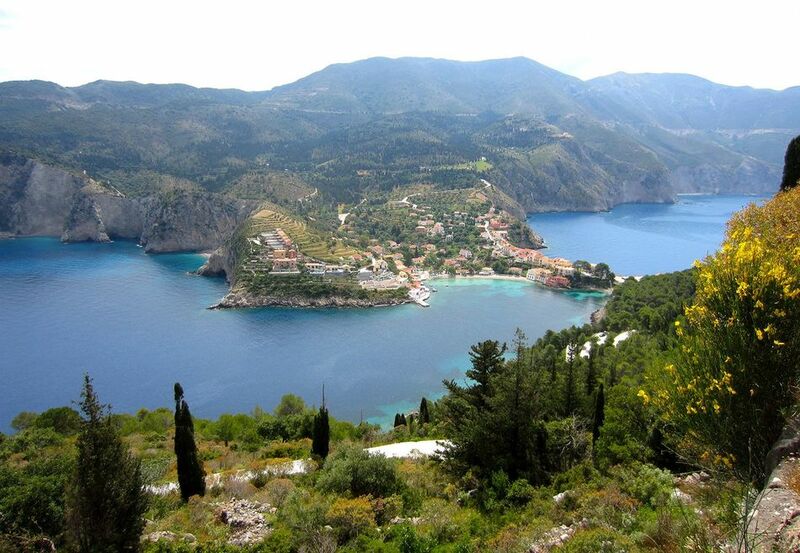 Cephalonia (Kefalonia) lies 60 miles south of Paxos. 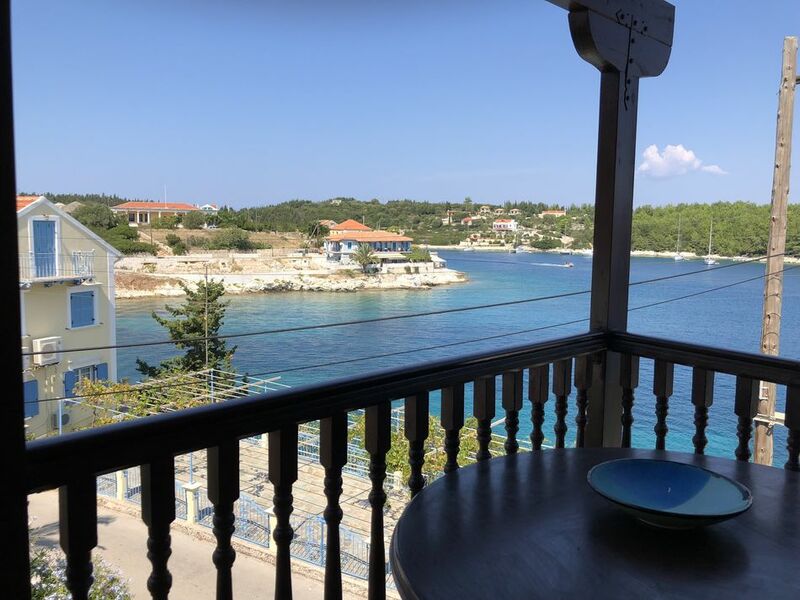 A stay in the north of the island will be very different to a stay in the south and some people opt for a week’s stay in each in order to experience the contrasts. 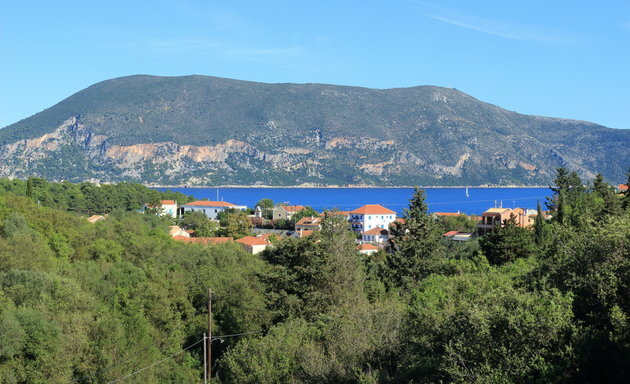 The southern coastline has seaside resorts and sandy beaches with more traditional island villages found further inland on the slopes of Mount Aenos’ foothills. 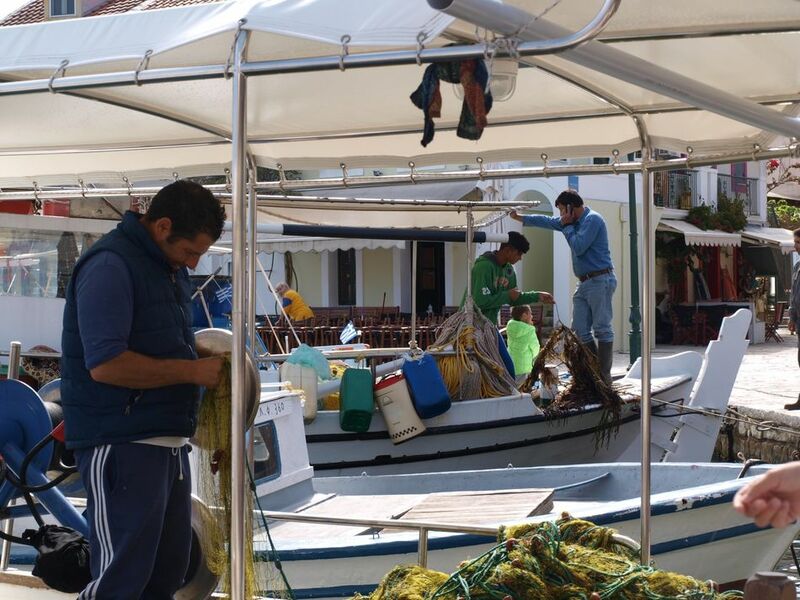 Argostoli, the island’s capital, offers a more diverse choice of restaurants and bars. 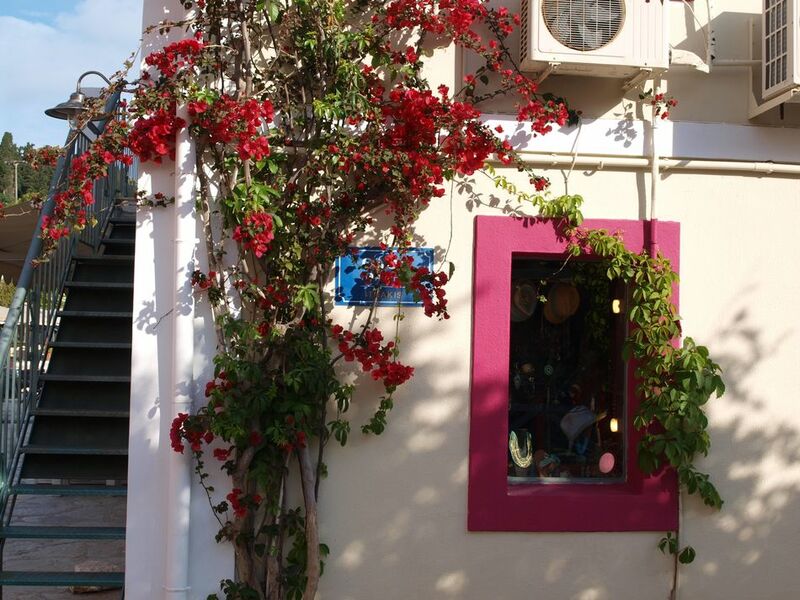 Spartia and Katelios are smaller seaside villages but this coastline of beautiful beaches is popular with watersports and an extensive selection of tavernas, bars and shops. 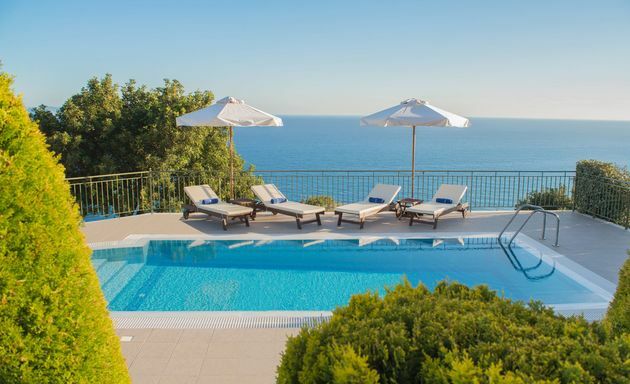 A good choice for beach-loving families. 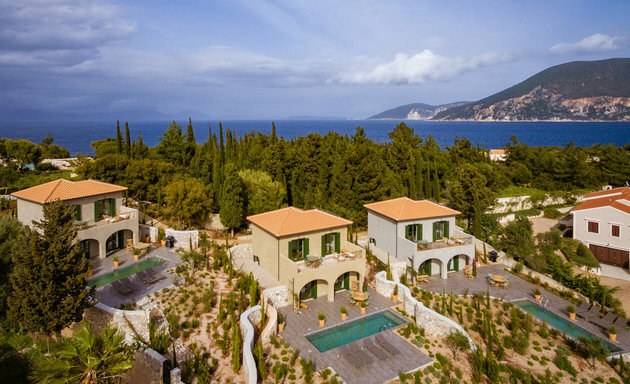 The drive from south coast to north coast, through an undulating interior of olive groves, vineyards, fields of wild lavender, pine forest and sleepy hamlets, takes just over one hour. 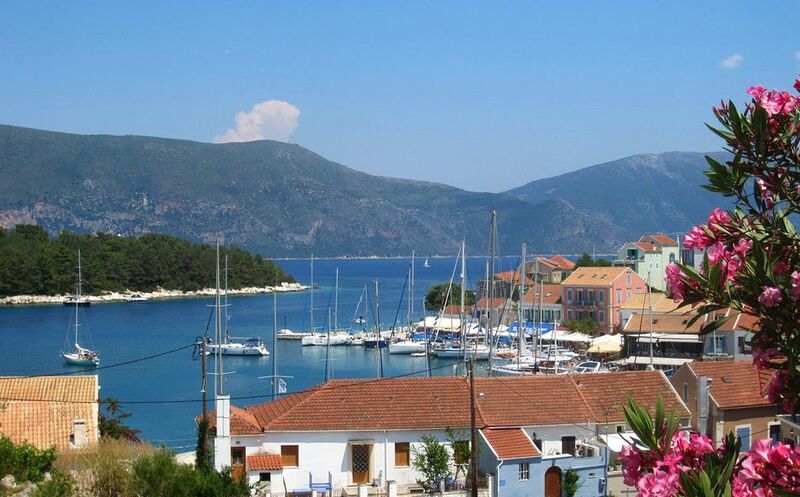 The colourful port of Fiscardo, on the north east tip of the island, boasts a stunning waterfront of tall Venetian houses and looks out to the island of Ithaca. 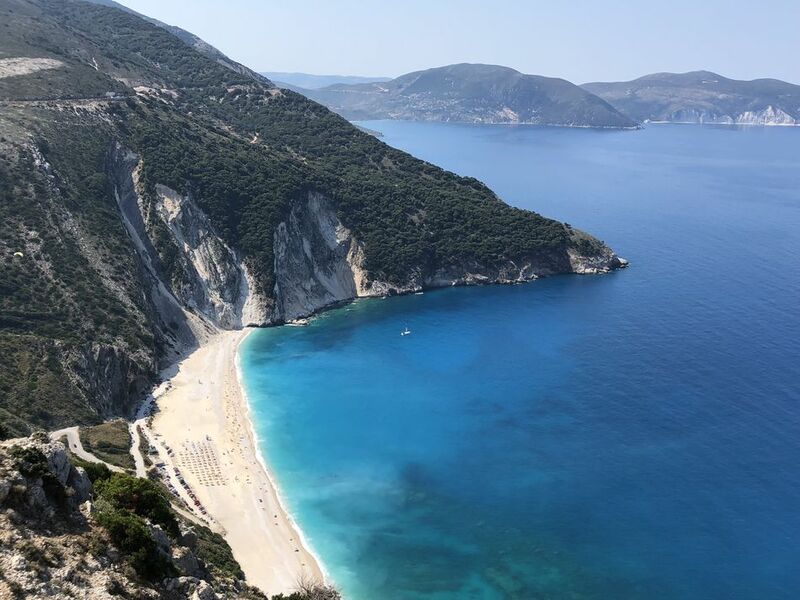 Beaches are shingle but less crowded than in the south and are fringed by olive, pine and cypress to give the coastline a more artistic quality. 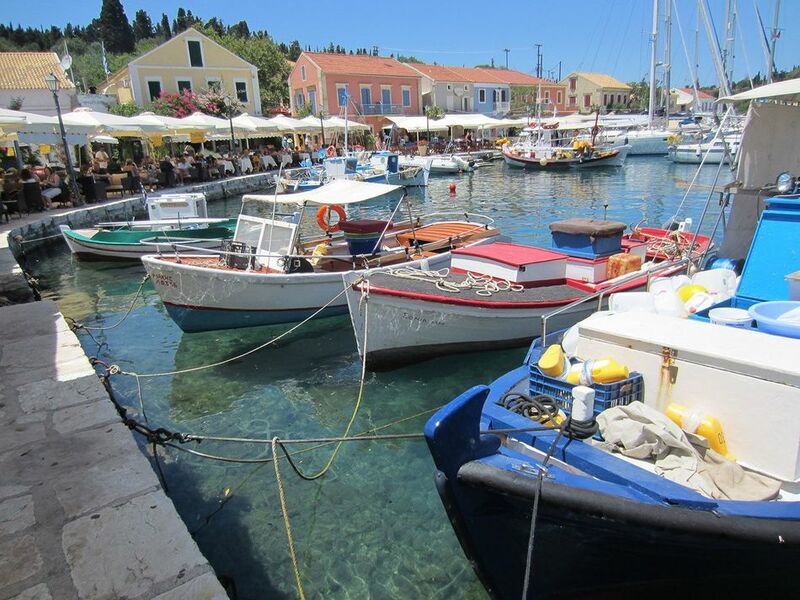 Fiscardo attracts its own jet set and although coffees are more expensive than in the nearby villages, people and yacht watching from one of the waterfront cafe bars is a very pleasant pastime. 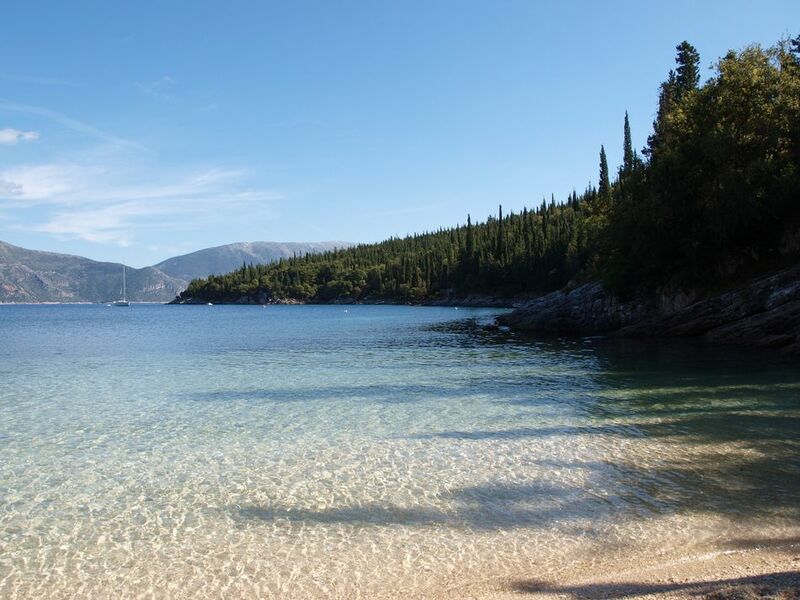 Children might prefer the sandy beaches of the south but the north has a softer character, more suited perhaps to grown ups. 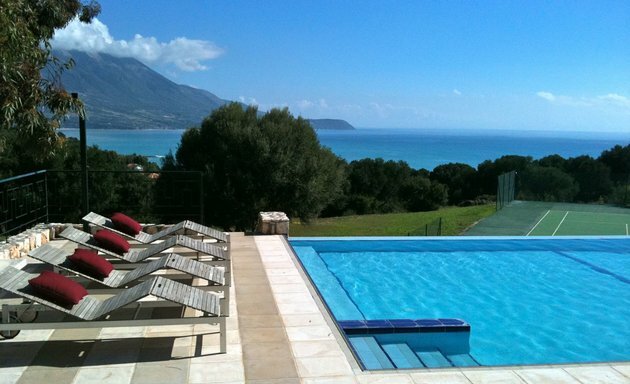 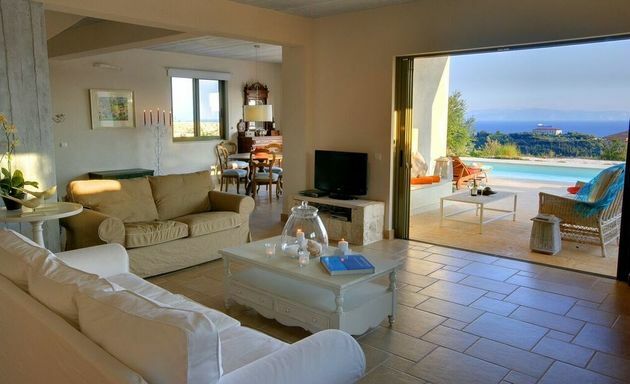 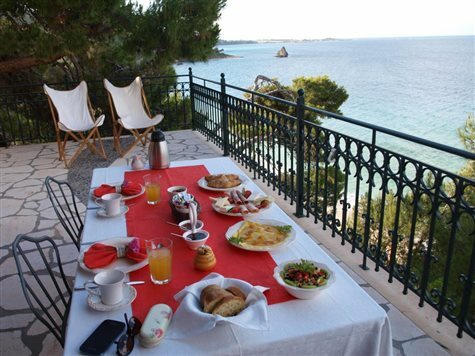 Villa Daphne is a modern and comfortable villa, just a five minute walk to a beach. 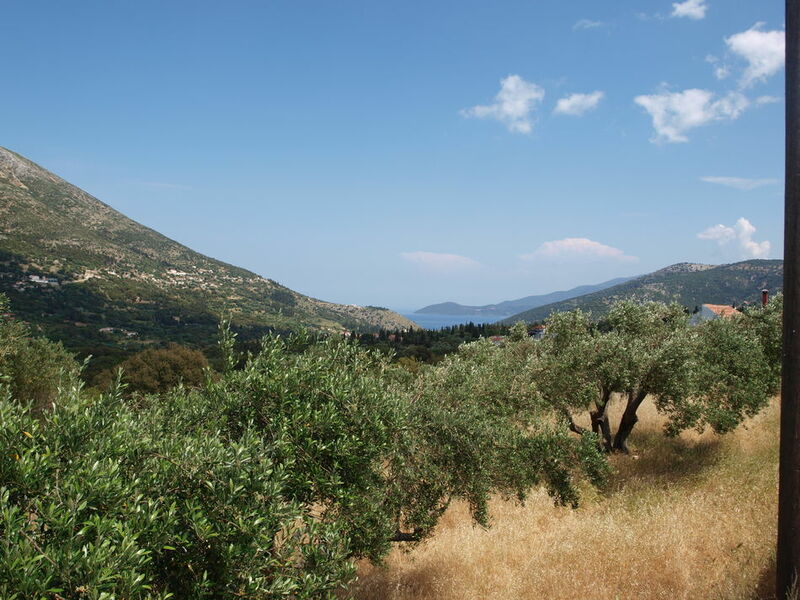 Fioroula's House is just a 5-minute walk into Fiscardo and has magnificent views to Ithaca. 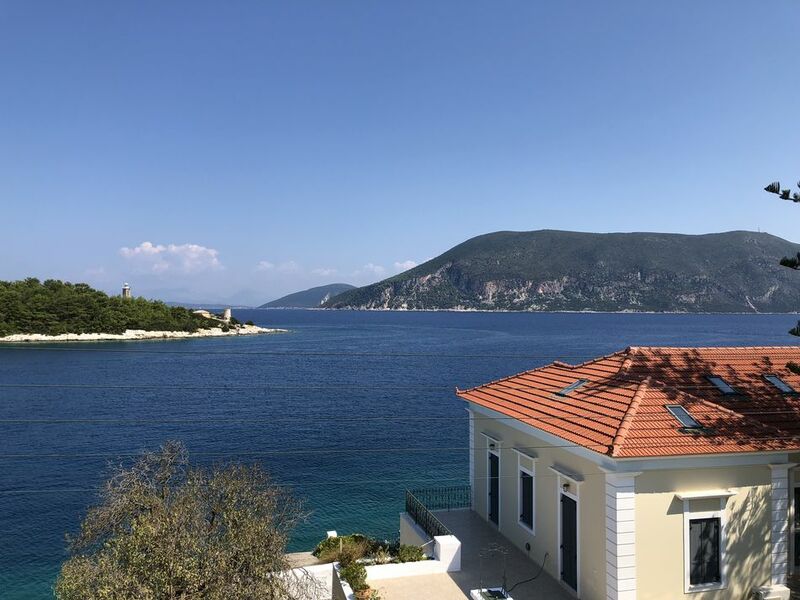 The Fiscardo Bay Villas are just a 3 minute walk away from Fiscardo's colourful waterfront with theatrical views across the bay. 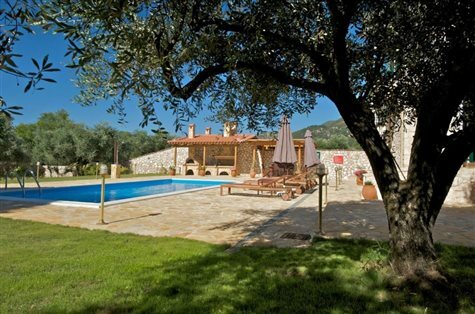 Villa Frappa is hidden away amongst a hillside of olive groves just a 10 minute drive from Fiscardo. 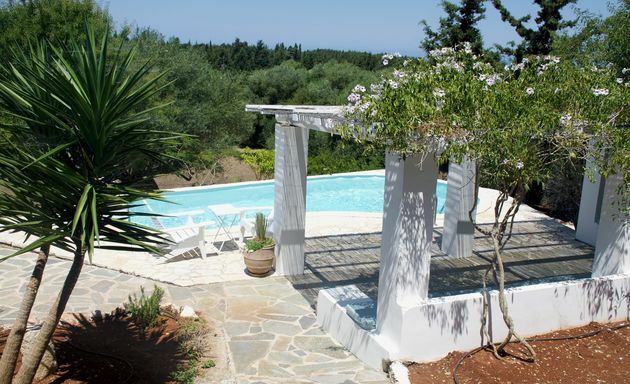 Frappa Cottage hides away amongst a hillside of olive groves just a 10 minute drive from Fiscardo. 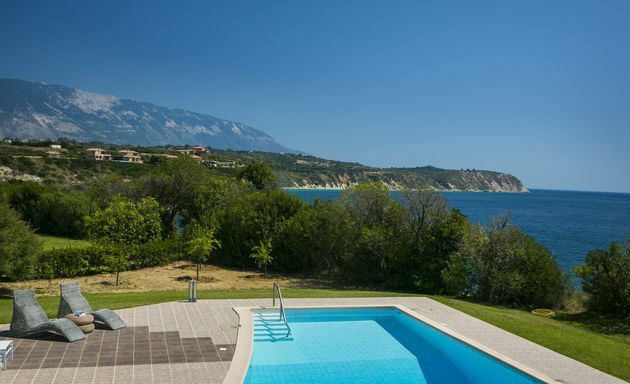 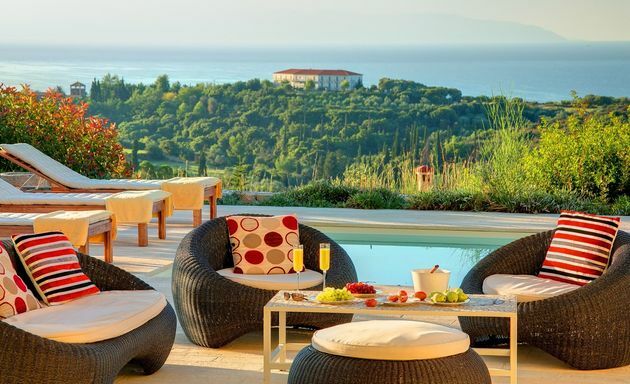 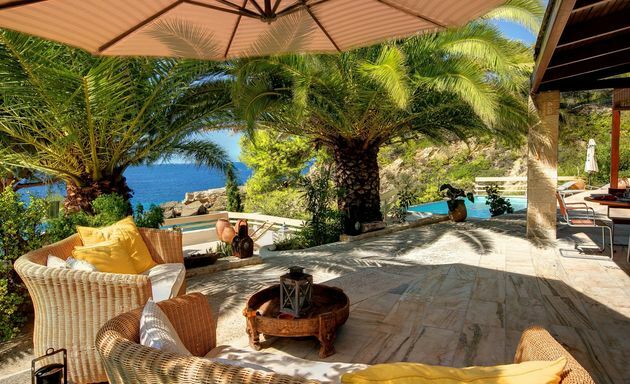 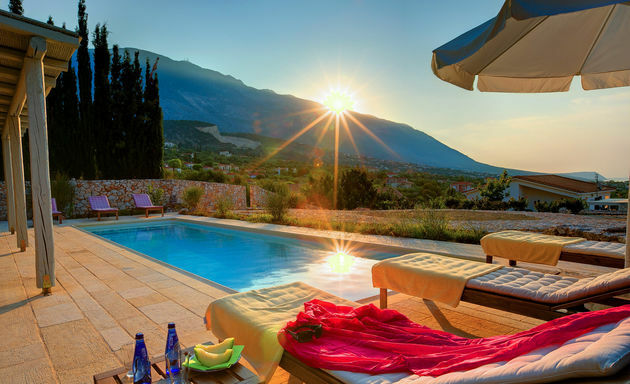 Villa Grace is on a hillside terrace above the sandy beach of Trapezaki on Kefalonia’s south coast. 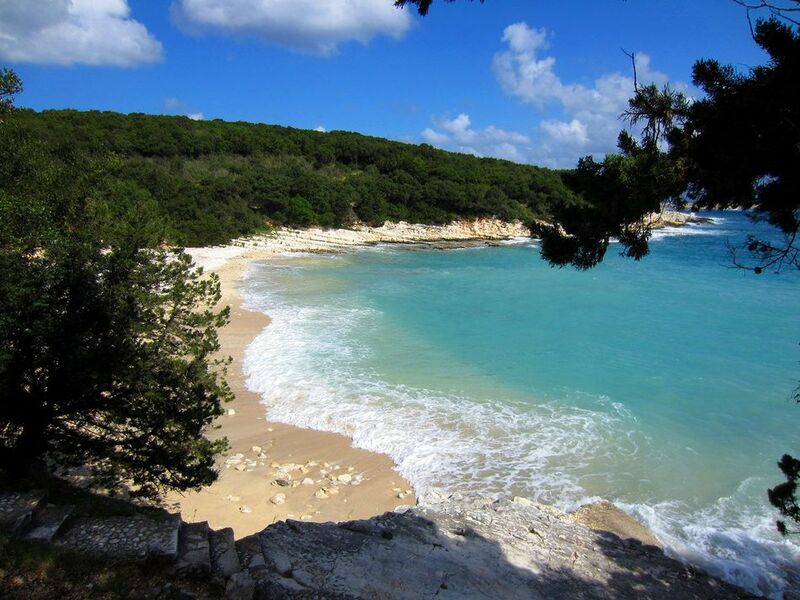 Just below Villa Hera there is a small cove and there are good sandy beaches within easy driving distance.